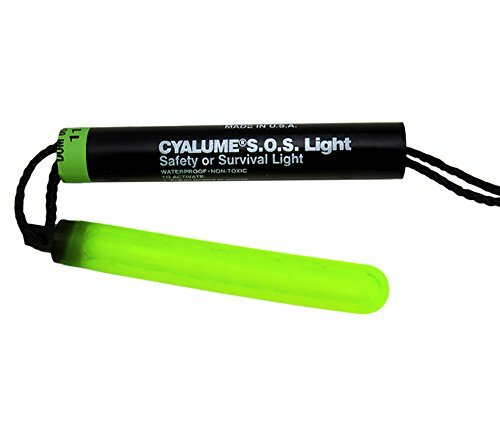 Cyalume SOS Signal Lightstick (Green) by Cyalume at Mocksville Fire. MPN: 9-42740PF Single. Hurry! Limited time offer. Offer valid only while supplies last. Sometimes called the ''Chemlight Buzzsaw,'' the SOS Signal Light stick is designed to spin by its included lanyard. This creates a distinctive 48 in. Sometimes called the "Chemlight Buzzsaw," the SOS Signal Light stick is designed to spin by its included lanyard. This creates a distinctive 48 in. diameter circle pattern that can be seen from up to a mile on the ground and up to three miles away by air. Will glow for 8 hours once activated. The SOS Signal Light stick cover can be used as a handle.